The smart home needs a remote, and one startup debuting on Kickstarter today thinks the smartphone isn’t necessarily the best option of that. 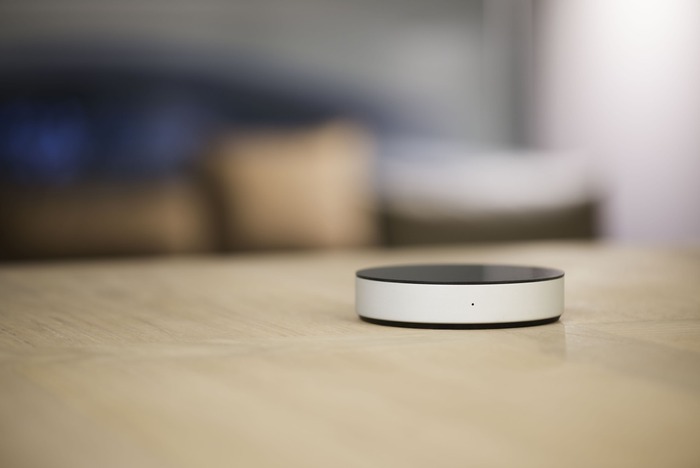 NEEO is a dedicated device that includes a remote, as well as a brain to centralize control of your home, including your home theater equipment as well as connected gadgets like the Nest, Philips Hue and more. NEEO is a Cupertino-based startup with a co-founding team that shares over 25 years of experience in the home automation sector between them. CEO Raphael Oberholzer is an electronics engineer with experience at Bang & Olufsen and Smart Home SA, a Swiss firm specializing in high end smart home system installation. 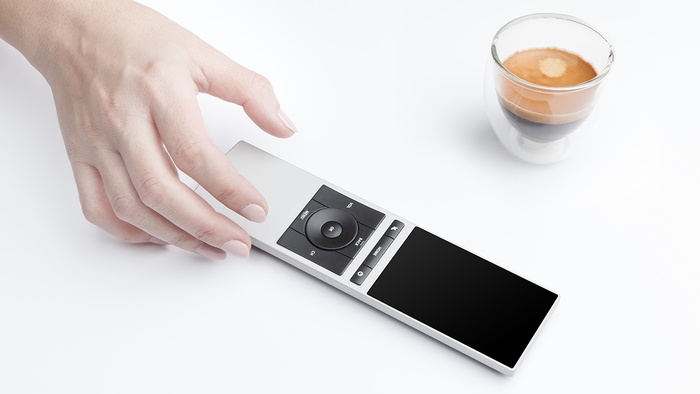 Oberholzer and his team found that there wasn’t much out there over the past few years in terms of smart remote innovation, and they wanted to produce a dedicated device that was designed to fit in with today’s tech and power innovations. The Logitech Harmony line of remotes has recently taken on smart home gadgets, and so will stand as a direct competitor to the NEEO, but this startup crew has designed a lot of features into NEEO that are not present in the Harmony lineup. The NEEO has hand recognition, for instance, as well as a battery that runs of multiple months without a charge. A locator feature will make it beep when you activate it via an app on your smartphone, and it supports Bluetooth, Wi-Fi, 6LowPAN, ZigBee, Z-Wave and Thread out of the box. The IR blasters built-into the hub cover a 360-degree range, and it has a learning mode for teaching it the IR codes of any gadget it doesn’t already support. NEEO’s coolest feature might be that it is designed to anticipate your needs, using the hand recognition tech to provide you with favourites, playlists and other content on a 291 ppi 480×800 3.2-inch touchscreen based on identifying factors in your palm. It’ll support multiple profiles, and offer a guest mode for unrecognized hands, too. There’s even a companion app you can use on your smartphone along with the dedicated hardware. 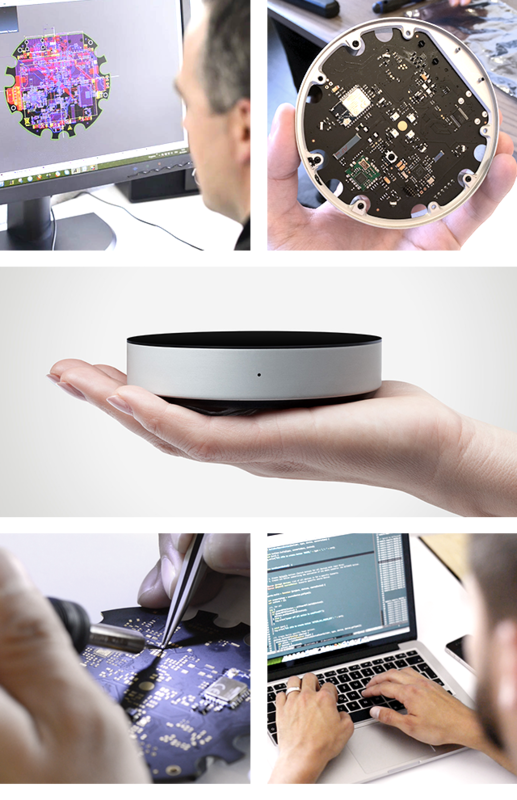 The NEEO ships with a database of over 30,000 gadgets in its library for easy setup, and early bird backers can pick one up starting at $148 with pledges today. The team is lining up distribution of Kickstarter units in different batches, with the earliest batch shipping this April. That may seem ambitious, but functional prototype design has been finalized, and the purpose of the crowdfunding drive is just to make the last push to full-scale production. Dedicated smart remotes definitely lag their software counterparts in some regards, but smartphone apps aren’t a satisfying solution on their own, either. NEEO looks very promising in concept, so here’s hoping they nail the execution, too.